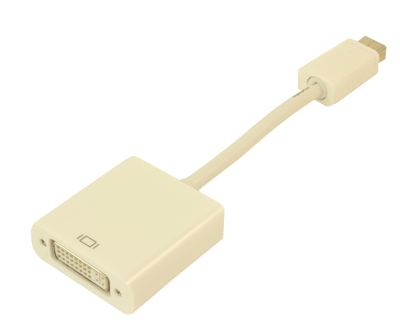 The Mini-DVI connector is used on Apple computers as a digital alternative to the Mini-VGA connector. 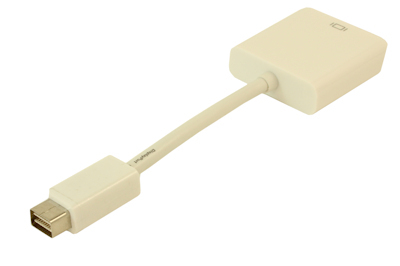 In October 2008, Apple announced the company was phasing it out in favor of Mini DisplayPort. Its size is between the full-sized DVI and the tiny Micro-DVI. It is found on the 12-inch PowerBook G4, Intel-based iMac, the MacBook Intel-based laptop, the Intel-based Xserve, and the 2009 Mac mini. Mini-DVI connectors on Apple hardware are capable of carrying DVI, VGA, or TV signals through the use of adapters, detected with EDID (Extended display identification data) via DDC. This connector is often used in place of a DVI connector in order to save physical space on devices. It needs a Mini-DVI Adapter to connect to another monitor. Mini-DVI does not support dual-link connections and hence cannot support resolutions higher than 1920x1200 @60Hz. Connect a standard DVI MALE cable to this adapter to connect to your Mini-DVI port found on many Mac/Apple computers. Mini-DVI is a smaller, miniturized version of the DVI connector most commonly found on devices made by Apple Computers. 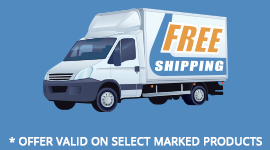 It has the same functionality of DVI but is a more compact connectors so that less space is taken up on the body of the computer. Like standard DVI, the mini-DVI does not support audio functions.